Sieg (formally Siegfriedt) completed his architectural studies at the University of Pretoria in 1980, and has been lecturing and practicing architecture for the past 30 years. He is the Head of Department of the Norman Eaton School of Architecture at the Tshwane University of Technology, has published articles on architecture in the popular press and received various awards for architecture. Sieg has also delivered numerous papers and keynote addresses at conferences on four continents. Peter started his career in the built environment at a structural and civil engineering firm. He has since worked at several architectural practices and his experience includes residential, large retail centres, high-rise multi-purpose, heritage projects and international resort and institutional developments. He is often tasked with quality control. Peter lectured part-time at the University of Johannesburg and serves as member of one of the South African Bureau of Standards’ sub-committees on the building regulations. Bernadette is a registered professional Landscape Architect with more than 10 years experience in the field as a consultant. She has a thorough working knowledge of a diverse range of aspects relating to the profession. She is the co-owner of The Landscape Studio since 2008. She has a keen interest in indigenous planting design in which the business specializes. She also fulfills the function of Registrar for the South African Council for the Landscape Architectural Profession (SACLAP). As a young architect Jacques gained wide experience in commercial, industrial, educational and institutional architecture. He was appointed as full-time lecturer at the University of the Free State in 2001, the same year he established a practice under his own name. The majority of completed projects focus on the adaptive re-use of existing buildings, ranging from residential to large scale educational. In 2007 Jacques joined the University of Pretoria. For his doctorate, Jacques reas- sessed the National Building Regulations to promote uniformity and sustainability in the South African built environment. In 2012 Dr Laubscher joined the Tshwane University of Technology as an associate professor where he is currently teaching. In April 2013 Jacques commenced with a post-doctoral fellowship at the OTB Research Institute for the Built Environment in the Faculty of Architecture, Delft University of Technology. After completing his B.Sc. (Building) degree, Daan worked for an architectural practice for a year before enrolling for the degree B.Arch. Qualified in 1977, he worked at the Department of Public Works as First Architect, co-ordinating various government projects. He started his academic career in 1981 at the former Technikon Pretoria, now Tshwane University of Technology. He was a co-founder of the TUT’s Centre for Architecture and Environmental Studies. In private practice he is involved with various residential, commercial and industrial projects. His fields of speciality are construction, contract documentation and office practice with special interest in CAD and Excel programming. Daniel van der Merwe is a Wits graduate and Architect. He was a senior lecturer at UJ, thereafter heading the C&CI architectural focus area. He is part of PPC’s technical marketing team. 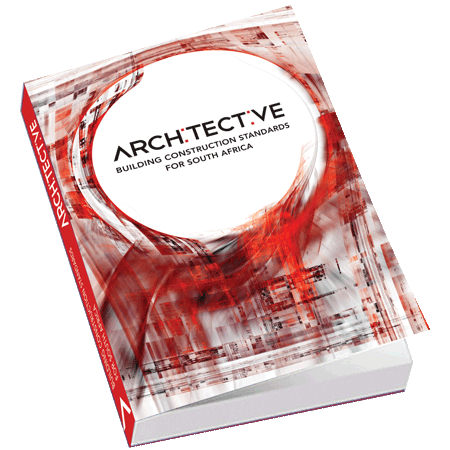 Daniel was Convener for the architectureZA.2010 and AZA2012 Biennale. He serves on SAIA’s Board, and is the President of GIfA. In her final year of studies Marguerite was the best final year student and received a distinction for her dissertation. Subsequently, she held lecturing posts at various institutions, most recently at the Universities of Pretoria and the Witwatersrand. Marguerite is currently doing a part-time Masters by Research on the work of renowned architect Norman Eaton. She has been a participant in several green indabas and has also contributed as speaker on occasion. She is an external examiner and continues to lecture nationally, focussing on architectural design and theoretical research. Marguerite is a director of Holm Jordaan Architects and Urban Designers. While still busy with his master’s degree, Morné joined forces with Chris Wilkinson to design the much published Chapel of Light at the Vaal University of Technology. Amongst others, the building won a national Award of Merit. He is dedicated to education in architecture and has served on several committees in this regard as well as lecturing in design and construction at various local institutions. He is also an external examiner at all the major accredited institutions in South Africa. Morné specialises in design on both an urban design and architectural level. He is a director at Holm Jordaan Architects and Urban Designers. Jaco completed his National Diploma in Architecture at the University of Johannesburg where after completed his B-Tech Degree in Archi- tecture at Cape Peninsula University of Technology. Jaco is keen to explore and learn from various fields in the architecture profession. His goal is to complete a Masters in architecture and contrib- ute to ongoing development through sustainable architecture in South Africa. Peet is currently working for an architectural firm in Pretoria specializing in hospital design and renovations. His fields of specialities are construction, contract documentation and architectural presentation with special interest in CAD and Architec- tural 3D renderings. He started his architectural studies at Tshwane University of Technology in 2002. Peet and two of his fellow students were awarded as first runners up in the annual Des Baker Architectural Student Competition. In 2008 he obtained his M.Tech-degree and received distinc- tions in contract documentation and specification. He also was the best 6th year Masters Student. Johan completed his Masters degree at Tshwane University of Technology in 2011 and is currently working at New Graphical Laboratory and NGLdotImage, where he is one of the founders and graphic designers. His previous experience includes mechanical, civil, structural, piping and architectural draughting. He served as a draughtsperson and 3D-modeller at TWP and an assistant student architect at SSW architects. He is also employed as a part-time lecturer at TUT, where he teaches Computer Application to first year students. Johan is fluent in many draughting software packages such as Archicad, Autocad and Caddie. He is also efficient in SketchUp, 3D Studio Max, Solid Edge, Adobe Photoshop, Illustrator, In-Design, Dreamweaver, Microsoft Office and various other small programs. Etienne studied and later taught at University of Cape Town. In 1985 he established Greenhaus Architects, the Cape’s ‘first eco-friendly, green and organic practice’. Greenhaus has engaged in a range of activities and community beneficiation projects, social responsibility and poverty allevia- tion programs. This includes training courses in green construction, co-initiating the Sustainable Built Environments Conferences, a range of private commissions including eco-lodges, residential, educational and government tenders in housing and other sectors. Bruwer has also done restora- tion work and urban conservancy, acted as professional adjudicator for competitions and lectured. He is a member of the International Forum for Man and Architecture. In his final year of study at the University of the Free State, Gerhard started to specialise in earth construction. In 1995 he received a travel and study bursary form the French Embassy to continue his studies in earth construction. This led him to the CRATerre at the Grenoble Superior School of Architecture in France – where he also later worked on a Masters degree. Upon his return his alma mater employed him as an architect and lecturer at the Unit for Earth Construction (UEC) He lectures on sustainable building principals and ethics as well as earth building techniques. Gerhard heads Terre Firme Architects. Jolanda is a senior lecturer and doctoral candidate at the Cape Peninsula University of Technology where she teaches in various under- graduate architectural design studios. Prior to joining the University, she taught in the Masters’ programme at the Department of Town and Regional Planning at the University of Stellenbosch. Her research interests include urban design, heritage and urban conservation, sustainable school design, the design studio and instructional technology in architectural education. After qualifying, Mostert worked in private practice for seven years, focusing on large shopping centres, office buildings, factories, warehous- ing and schools. During this time he got involved in project management and site supervision. In 1991 he joined the Technikon Northern Transvaal (later Technikon Northern Gauteng, now Tshwane University of Technology) as lecturer in architecture. He currently serves on the Registration and Recognition of Prior Learning committee of SACAP. His speciality is construction technology and contract documentation. Mostert is actively involvement in various architectural projects, the most recent being the identification of needs and upgrading of schools in Kwazulu-Natal. Dirk is a graduate from Tshwane University of Technology with a master’s degree in Architecture and a candidate architect with experience in the architec- tural industry in South Africa. He has been involved in various residential and commercial projects in Pretoria as well as documenting and restoring historical farmsteads for SANParks. Dirk is a part- time lecturer at the Tshwane University of Technology, specialising in computer aided design and presentation techniques. Kenneth developed an interest in the technical aspects of the built environment during his undergraduate studies at the Tshwane University of Technology, and eventually completed his post-graduate degree at the University of Pretoria. During this time, his interest in sustainable design and energy efficiency took root. He divides his hours between contract work within the industrial sector and developing his own practice where he focuses on consulting, and BIM/energy modelling. He has more than a decade’s experience working within the field of concept design, development and costing of projects within various industrial sectors. Kenneth lectures part-time at the University of Pretoria on the topic of climatic responsive design. Lee has done numerous designs for various scale projects ranging from residential to commercial and parks. He specialises in conceptual design. He has a particular interest in outdoor lighting and has written several articles on the subject. He also writes various columns for different South African gardening publications. Lee lectures at the University of Johannesburg as well as the Irene School of Garden Design, which he owns, together with the ISGD design firm. Timber is one of only two known non-uniform raw materials in the universe. The desire to understand and predict the reaction timber will have due to a specific action is Nolte’s passion. He is currently busy with a master’s degree in glue bond performance at the University of Stellenbosch. He has extensive exposure within the timber industry and its various branches. He fervently tries to share this knowledge through his studies and by lecturing on the subject. Pieter is a graduate from Tshwane University of Technology in Pretoria, South Africa. He has been involved in various projects in the Netherlands ranging from utilitarian and sporting facilities to urban design. Pieter is currently employed as a part time lecturer at the Tshwane University of Technology’s Department of Architecture, focusing on the subjects Architectural Design and Theory of Design. After qualifying at UCT in 1979, Gordon gained experience while working for locally as well as in England. In 1984 he started his own practice - still very much the main focus of his architectural activities. Over the years he has been a part-time lecturer at both the Peninsula Technikon and the Cape Peninsula University of Technology (CPUT). This lecturing, which initially covered a range of subjects has, in recent times, been focused on professional practice. Gordon also serves on the Advisory Board of the architecture department at the CPUT. John studied at the University of Pretoria and Unisa. His career has taken him from Iscor to Mittal Steel (later ArcelorMittal), where he was involved in technical marketing, and marketing and sales management. In this capacity he also served on several local and international committees and associations over a career of 30 years. John then went on to join the Institute of Steel Construction, with specific aim to develop the Light Steel Frame Building Industry in Southern Africa. This work resulted in the establishing of the Southern African Light Steel Frame Building Association (SASFA), of which he is the director. A senior lecturer at the Cape Peninsula Univer- sity of Technology, Hermie is currently involved in her D.Tech-studies, focusing on architectural education and learning through design-build projects. She enjoys designing creative learning experiences and is passionate about natural and alternative building. In private practice she works mostly on domestic scale work and aims to have a regionalist and sustainable approach with the main project idea firmly grounded in its’ context, technology and function. She believes that archi- tecture can change the way people live and that, especially in South Africa, architects should serve the complete spectrum of the population and not just the elite. During the first ten years of his career, Gerry gained experience while working on a variety of projects that ranged from health care, industrial and commercial projects to residential buildings. In 1987 he joined the then Technikon Northern Gauteng as lecturer and held the position of senior lecturer at the Tshwane University of Technology from 1991 until 2011. He currently is a Chief Architect at the Department of Public Works. His research interests revolve around thermal comfort using an adaptive comfort algorithm. Other interests include sustainability of the built environment, energy issues and appropriate technology for buildings. Since graduating in from the University of Pretoria, Sonia has developed various skills in design, documentation and management of various projects including residential, corporate and leisure at various architectural firms. She strives to diversify her involvement as an architect and teaches younger students at the Tshwane University of Technology as a part-time specialist, as well as serving on Residential Estate Associations. Her firm, SL Architects, specialises in residential and corporate projects. A landscape architect and lecturer, Johan is passionate about people and design. As a student he was awarded the Institute for Landscape Architecture in South Africa’s best landscape architecture student in the third year. As landscape architect he was involved in various design studies, urban planning schemes, residential estate developments as well as tourism and recreational projects. Johan was a part-time lecturer in architectural technology at the University of Johannesburg before joining the Cape Peninsula University of Technology as a full-time academic. He is an honorary member of the South African Landscapers Institute and was recently appointed as a regional judge for the annual Landscape Awards of Excellence. Louis has been practicing as an architect since 2002 and has experience in commercial, industrial and residential architecture. He has built up a portfolio in his personal capacity of projects ranging from modest additions to upmarket residential projects for private clients in Gauteng, the Freestate and the Eastern Cape. Louis offers his clients a hands on approach with meticulous attention to all project stages, from inception to design devel- opment, technical resolution, tender advice and site quality control. Louis also has experience as a part-time tutor at the University of Johannesburg in construction and detailing. Rikus is a student at the Tshwane University of Technology, working towards a master’s degree in architecture. He works at GWA Studio, focussing on large scale urban development and social housing schemes while taking part in architectural design within the office. His passion for design resulted in him being a finalist in the 2009 2n Caesarstone design competition and a university entry into the SHIFT design competition for 2012, working with Helena Mouton. His long-term goals include a degree in urbanism. Paul started his career in architecture in 1996 at Heyn and Bolt Architects Pretoria, while still a student. His interest in computer technology and architec- ture helped him to gain expert skills in 3D computer-graphics modelling. He has focussed mainly on up-market residences as well as commercial projects. He now lives in Cape Town where he is a partner at Green Square Architects. Ziani has 10 years working experience as an IT manager in a multi-platform advertising environment before she decided to pursue her passion for architecture. Together with her studies in architecture, she also project managed Building Construction Standards for South Africa. Apart from writing copy and illustrating some of the text, she was responsible for coordinating the work of the 28 collaborators. Frieda is a freelance journalist, architectural writer and futurist. She worked in the printed media for ten years. Her book, published in English (More Home for Less Money) and Afrikaans (Huise wat jou sak pas), was published by Tafelberg in 2008. She also contributed approximately 50 articles to The Phaidon Atlas of Contemporary World Architecture, published in 2004. She lives in Cape Town.